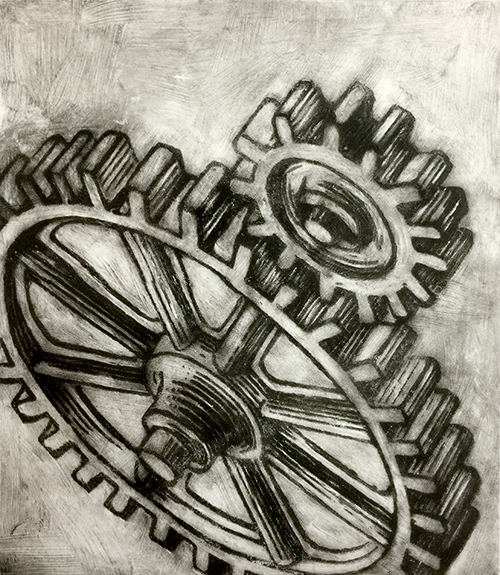 As I look at some of the Immigrant images I am drawn to the parts that have been appropriated from engravings of machinery, particularly cogs and gears. I have removed them from their original context and sent them floating in space. Enlarged, they seem architectural. Perhaps they are anthropomorphic. The mystery of why the gear imagery is so important to me will emerge as I continue to work on this body of work.